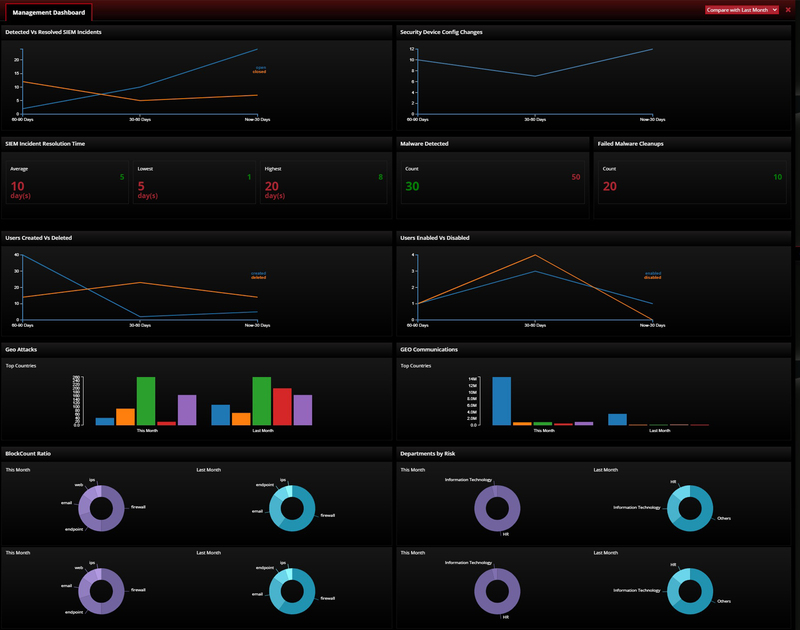 The management dashboard gives a holistic view on the security posture of your organization. Built to be a completely configurable solution, the management dashboard allows CISO’s to find information they need to monitor and take decisions regarding their network. LinkShadow allows the CISO to monitor the key security metrics in his/her organization by choosing the key metrics that matter to their organization. The dashboard is completely configurable allowing you to choose the widgets that represent the security threatscape of the organization.